John Mayo, of ComicBookPage, and Kay Kellam, of PopArtsPlace, have a spoiler filled discussion about the first season of The Flash including some possible spoilers about the third season of Arrow. 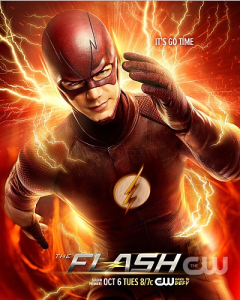 The Flash, which as a TV Show, spun out of Arrow, has sped off in the ratings as a successful show in its own right on the CW Network, offering a lighter and sunnier view of a superhero based show with Grant Gustin’s Barry Allan vs. Arrow’s darker more brooding Oliver Queen (so well portrayed by Stephen Amell). This entry was posted in Podcast, Podcasts, PopArtsPlace, Review, Television and tagged #TheFlash, Andrew Kreisberg, Arrow, Arthur Darvill, Atom, Barry Allen, Black Canary, Brandon Routh, Burning Man, Caity Lotz, Candice Patton, Captain Cold, Captain David Singh, Carlos Valdes, Ciara Renee, Cisco Ramon, CW, CW Network, Danielle Panabaker, DC, Detective Joe West, Detective West, Dominic Purcell, Dr. Harrison Wells, Dr. Martin Stein, Eddie Thawne, Eobard Thawne, Flash, Franz Drameh, Geoff Johns, Grant Gustin, Greg Berlanti, Hawkgirl, Heat Wave, Iris West, Jay Jackson, Jesse L. Martin, Joe West, Katie Cassidy, Kendra Saunders, Law & Order, Legends of Tomorrow, Leonard Snart, Mick Rory, Patrick Sabongui, Paul Blackthorne, Prison Break, Ray Palmer, Rent, Reverse Flash, Rick Cosnett, Rip Hunter, Sara Lance, Stephen Amell, Streak, Superman, The CW, Tom Cavanagh, Victor Garber, WB, Wentworth Miller, White Canary on September 16, 2017 by Kay. October 6th and 7th will mean new seasons for the Flash and Arrow on the CW, and for some fans that might mean it is time to re-watch the last episode from season 1 of the Flash and season 3 of Arrow, and recall where things left off with Barry and Oliver, and all their friends. Others may think they’ve got a handle on where things ended, but have not yet listened to our podcasts on the shows, in which case, maybe now is the time to hear our spoiler filled discussions — there is always the chance we noticed something you did not, speculated on something you did and had a few insights that just might set your mind whirling as the new season gets underway. 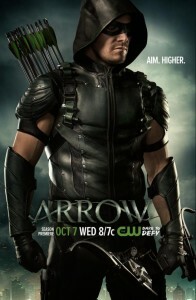 For those interested, check out our podcasts on Arrow Season 1, Season 2, and Season 3, as well as the Flash: Season 1. Just to get you started, the Flash Season 1 podcast is attached below. This entry was posted in Podcast, Podcasts, PopArtsPlace, Review, Television and tagged #TheFlash, A.R.G.U.S., Amanda Waller, Amazo, Anatoly Knyazev, Andrew Kreisberg, Anthony Ivo, ARGUS, Arrow, Arthur Darvill, Atom, Audrey Marie Anderson, Barry Allen, Bex Taylor-Klaus, Black Canary, Brandon Routh, Bronze Tiger, Burning Man, Byron Mann, Caitlin Snow, Caity Lotz, Canary, Candice Patton, Captain Cold, Captain David Singh, Carlos Valdes, Cedar Cove, Celina Jade, China White, Ciara Renee, Cisco Ramon, Colin Donnell, Colton Haynes, ComicBookPage, CW, CW Network, Cynthia Addai-Robinson, Danielle Panabaker, David Nykl, David Ramsey, DC, DC Entertainment, Deadshoot, Deathstroke, Detective Joe West, Detective Lance, Detective West, Dominic Purcell, Dr. Harrison Wells, Dr. Martin Stein, Dylan Neal, Eddie Thawne, Edward Fyers, Emily Bett Rickards, Eobard Thawne, Felicity Smoak, Flash, Franz Drameh, Geoff Johns, Grant Gustin, Greg Berlanti, Hawkgirl, Heat Wave, Huntress, Iris West, Isabel Rochev, Jamey Sheridan, Jay Jackson, Jean Loring, Jesse L. Martin, Jessica De Gouw, Joe West, John Barrowman, John Diggle, John Mayo, Katie Cassidy, Katrina Law, Kelly Hu, Kendra Saunders, Laurel Lance, Law & Order, League of Assassins, Legends of Tomorrow, Leonard Snart, Lyla MIchaels, Malcolm Merlin, Malcolm Merlyn, Manu Bennett, Michael Jai White, Mick Rory, Mockingbird, Moira Queen, Nyssa, Nyssa al Ghul, Oliver Queen, Patrick Sabongui, Paul Blackthorne, Podcast, PopArtsPlace, Prison Break, Quentin Lance, Ray Palmer, Rent, Reverse Flash, Rick Cosnett, Rip Hunter, Robert Queen, Roy Harper, Sara Lance, Sebastian Blood, Sebastian Dunn, Seth Gabel, Shado, Sin, Slade Wilson, Starling City, Stephen Amell, Streak, Suicide Squad, Summer Glau, Superman, Susanna Thompson, Teryl Rothery, The Count, The CW, Thea Queen, Tom Cavanagh, Tommy Merlyn, Victor Garber, WB, Wentworth Miller, White Canary, Willa Holland, Yao Fei on October 3, 2015 by Kay. 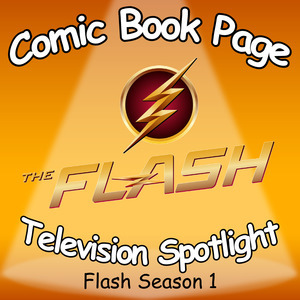 This entry was posted in Podcast, Podcasts, Review, Television and tagged #TheFlash, Andrew Kreisberg, Arrow, Arthur Darvill, Atom, Barry Allen, Black Canary, Brandon Routh, Burning Man, Caity Lotz, Candice Patton, Captain Cold, Captain David Singh, Carlos Valdes, Ciara Renee, Cisco Ramon, CW, CW Network, Danielle Panabaker, DC, Detective Joe West, Detective West, Dominic Purcell, Dr. Harrison Wells, Dr. Martin Stein, Eddie Thawne, Eobard Thawne, Flash, Franz Drameh, Geoff Johns, Grant Gustin, Greg Berlanti, Hawkgirl, Heat Wave, Iris West, Jay Jackson, Jesse L. Martin, Joe West, Katie Cassidy, Kendra Saunders, Law & Order, Legends of Tomorrow, Leonard Snart, Mick Rory, Patrick Sabongui, Paul Blackthorne, Prison Break, Ray Palmer, Rent, Reverse Flash, Rick Cosnett, Rip Hunter, Sara Lance, Stephen Amell, Streak, Superman, The CW, Tom Cavanagh, Victor Garber, WB, Wentworth Miller, White Canary on June 19, 2015 by Kay.